We work with restaurants and food stores, farmers and artisans to bring you the best locally and sustainably grown food available. Our delicious ingredients will bring your customers back again and again. Need help to consistently provide more than just the same old thing? Your customers are informed. Do you offer healthy and responsible options? We process your livestock quickly and humanely. Whether you are selling by the half, whole, or cut we can meet your needs. If you’re wanting to start a farm or already have one, we can help lay a good foundation or take the next step in building your business. Just wanting to learn more about where your food comes from? Thinking of getting into responsible agriculture yourself? Not a big business? Not a problem. Our desire in the beginning was to provide healthy food for our family and friends. 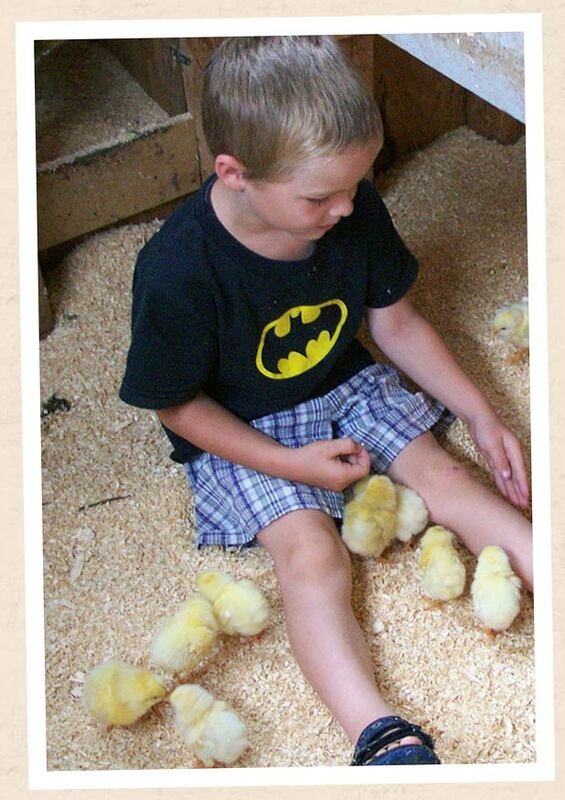 Though this little farm helper of ours is in college now, our commitment to families hasn’t changed. Feel free to shop our store as a guest, or grab a yearly membership for discounted pricing to feed your own family! Pick up your order at our retail store in Colfax, IN, have it sent to one of our partner locations nearest you, or have it delivered. We offer a yearly membership that provides privileged access to discounts and specials, reflected in our online store. Local food is real, it’s possible, and it’s good for us. This Old Farm started as a single 88 acre family farm operation in 2001. Locally owned and managed by Jessica and family since 2000, This Old Farm, Inc. has responsibly grown and raised food for the last 15 years, and now works with an ever-growing number of farmers, a great staff of families, wholesalers, and individuals to do the same. In doing so, This Old Farm has come to be recognized as the “complete food hub” for locally and ethically grown food in and around Indiana. In 2009 we began processing meat in our now federally inspected processing facility. While we like to grow good food we also love helping farmers process meat for markets they have grown. Whether it be providing good food or the best processing services possible, we are here to help build as many sustainable farm operations as possible. 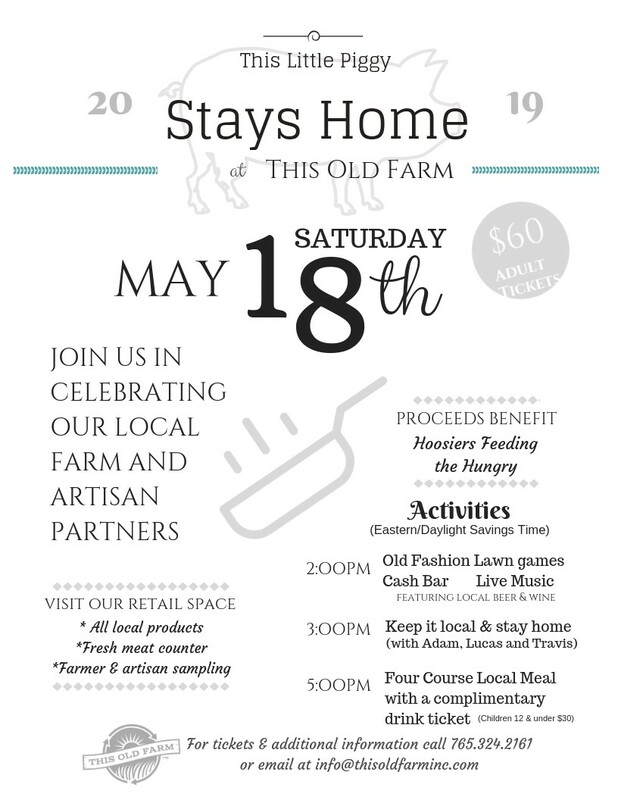 This Old Farm’s mission is to support the family farm by processing, marketing, and distributing locally raised, wholesome meat, produce, and value-added food. The true cost of production takes into account the environment, sustainable farm wages, and value to the customer. Are you a farmer or producer? Pay when you get it.